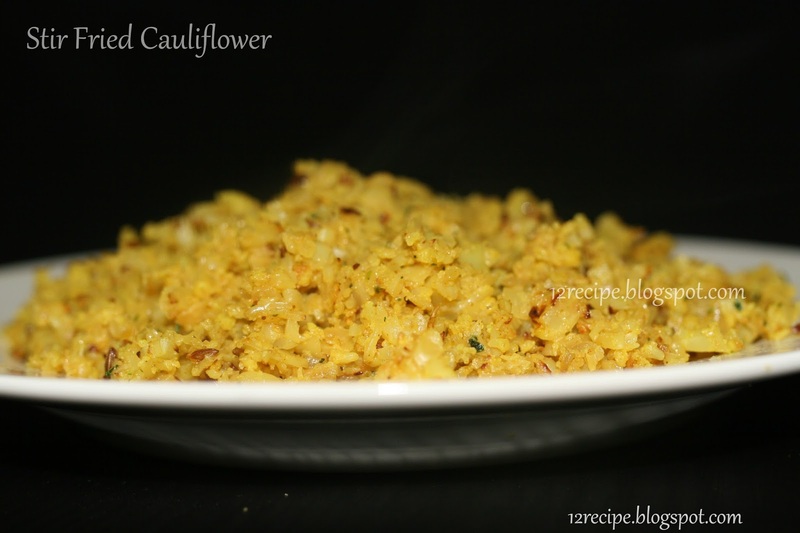 An easy and healthy stir fried cauliflower (gobi) recipe that goes well with your paratha's and rice. Also cut onion and green chilly in to thin slices. Heat oil in a non-stick pan; splutter cumin seeds. Add cauliflower, onion and green chilly. Add salt, turmeric powder, chilly powder and garam masala. Cover cooks it for 10-15 minutes until cooked (stir occasionally). Sprinkle coriander leaves chopped on top and serve.